where you can find all the info you need to make your visit to the grove. 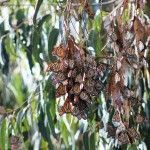 Historically, Goleta's butterfly overwintering season has been November – February. 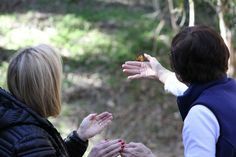 The City of Goleta is pleased to announce the reopening of trails on Ellwood Mesa in consultation with the California Coastal Commission. Users are encouraged to use caution on trails and should be aware that many of the trees are drought-stressed and in danger of falling. Users enter at their own risk. A map is available here. Before planning any visit to the Ellwood Mesa, we recommend you check our project page here. 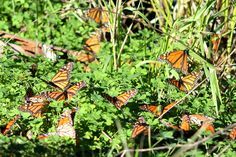 The Goleta Butterfly Grove (Ellwood Main) is in the Sperling Preserve on the Ellwood Mesa in Goleta, CA. Free parking is available. GPS: 34.429018, -119.897017. Get directions. 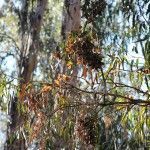 The area and the monarch site are named after Ellwood Cooper, who settled with his family here in 1870. Cooper grew olives, walnuts, grapes, almonds, oranges, lemons and Japanese persimmons on his large ranch. 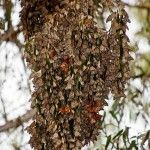 This created a very favorable setting for the yearly visitation of monarchs to our area. Find more information here. 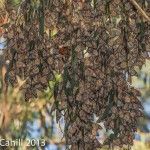 During the cool early mornings, you can see the largest amount of butterflies. However they are most active on warm afternoon. Check our weather icon at the bottom of the page to see what today’s weather is. 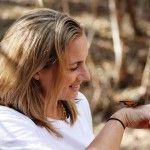 Learn the best ways to view the monarchs when you visit the grove. 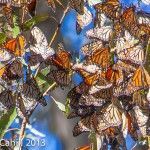 The Monarch count on November 14, 2016, was 1,365. 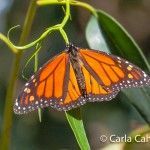 Copyright © 2012-2017 City of Goleta. All rights reserved. Created by: Barnett Cox & Associates. Hosted by: Synergy Computing, Inc..